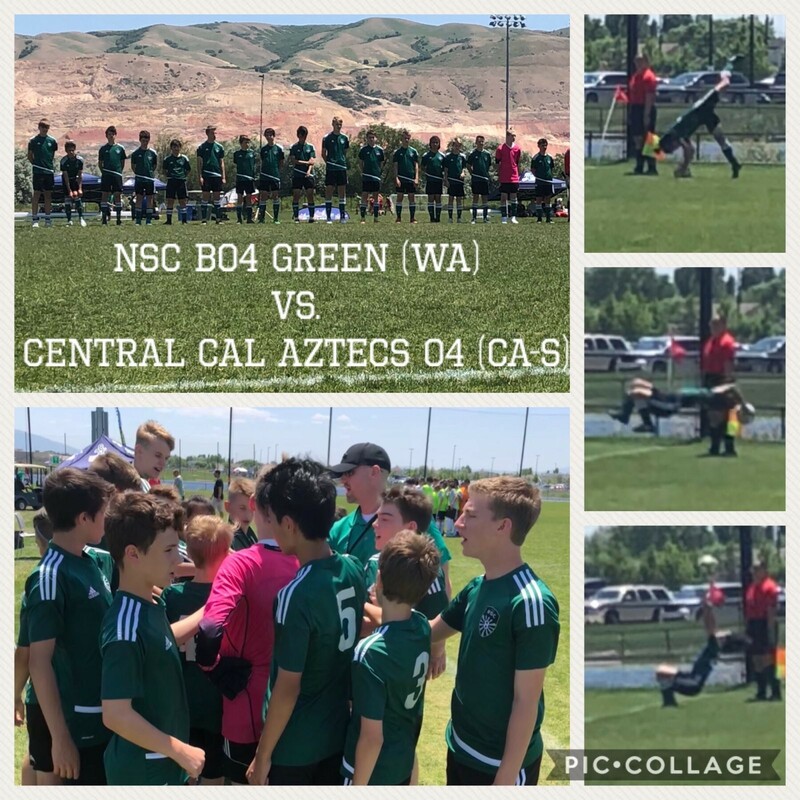 NSC B04 Green recently attended the Far West Presidents Cup in Salt Lake City. It's the second consecutive year that the team has qualified for this tournament due to their success in the local Washigton tournament. Make no mistake, these boys are competing against top level Premier teams. Coach Traci Carroll documeted their trip : They traveled by land and air, but didn't actually use the wagon they found! There is always time for a Paul Pogba pre-match haircut and as you can see there is also great teamwork off the field as the fans do a great job to fuel and hydrate the boys! Game 1 of the Far West Presidents Cup took place Tuesday evening with a temperature of 86 degrees! 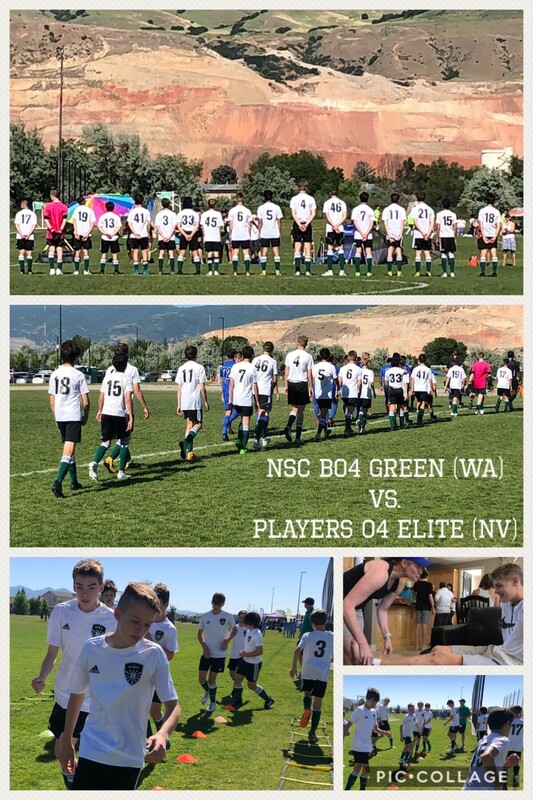 The boys had a tough 6-0 loss to a strong Nevada team. 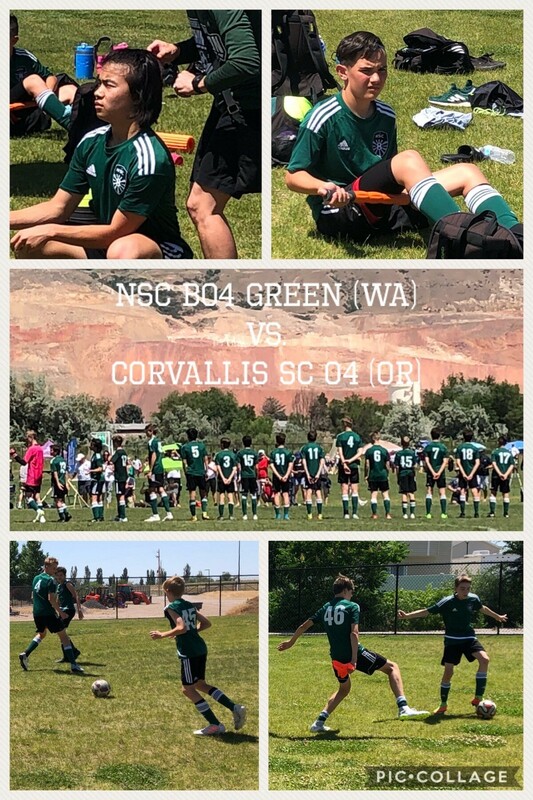 It was a 5-0 at halftime but the NSC boys came together to find their groove in the second half only conceding one goal off a corner kick and keeping the Nevada defense and goalkeeper on their toes. While it was a tough loss against a strong opponent, life goes on, we are in Utah, playing soccer in front of one of the most beautiful backdrops around. The sun went down today and will come back up tomorrow... and we will get back that field to kick the ball around. That's what I call fun, win or lose, this is the life! 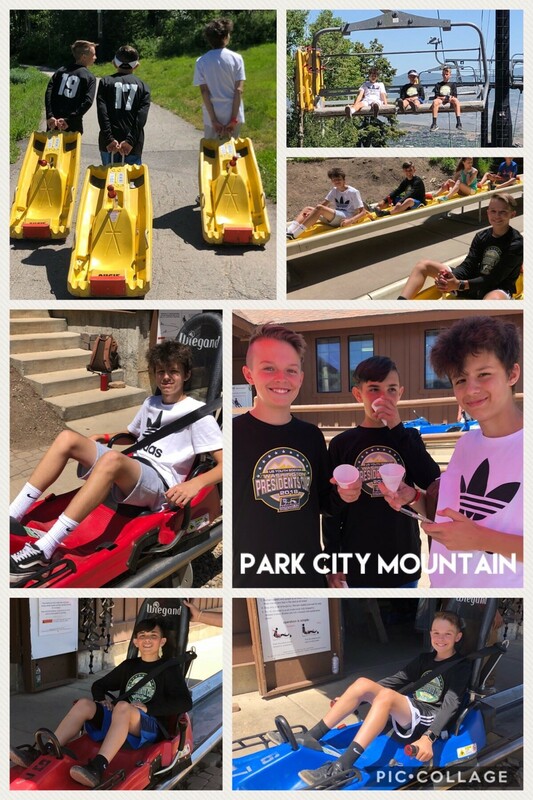 In between the games the boys found some time to check out the thrill rides at Park City. They flew down the mountain on the alpine slides and the alpine coaster before flying up and down the field against Oregon! The sun shined on your NSC B04 boys in their second pool play game of the tournament, both literally and figuratively. It was 97 degrees at KO, but that didn't matter to the NSC boys who scored early and often, winning 6-1. It began with an amazing headed goal from Rory from a free-kick and continued with a PK from David and finished with four goals by Nicholas (including another PK!). The ball was moving, the boys were moving and they established themselves as a name to be remembered in this region. Go NSC! 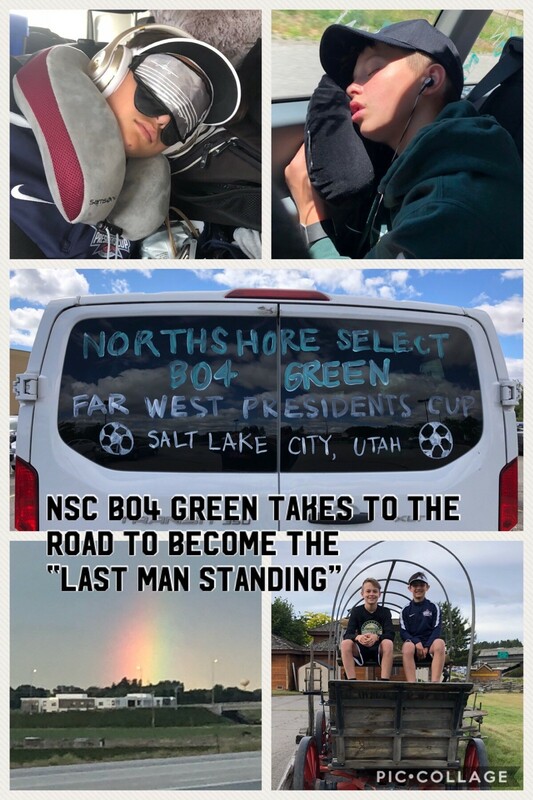 NSC B04 Green lost their last pool play game and have not advanced to the next round of the Far West Presidents Cup, but what an adventure they had! They battled hard in the heat and got great support out in Utah and from back home! The NSC 2017-2018 is finally over, the boys and coaches have done the club proud and who knows what the 2018-2019 season will bring!